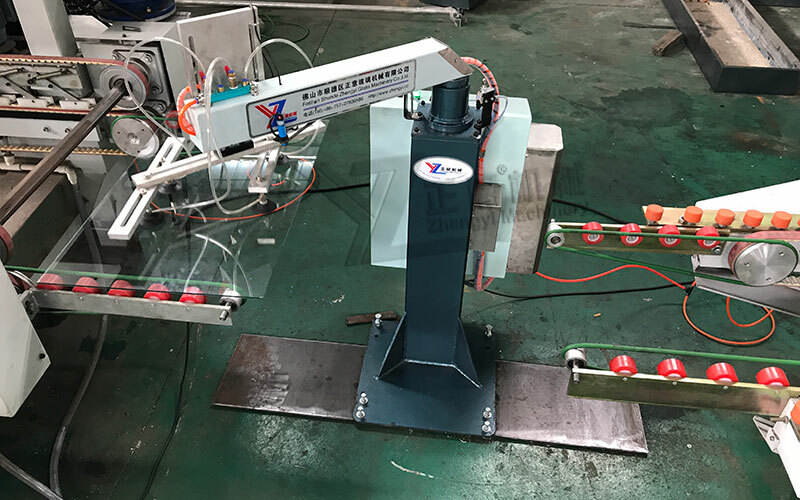 This machine is transferring small pieces of glass such as electric appliances glass, cabinet glass, door and window glass etc. 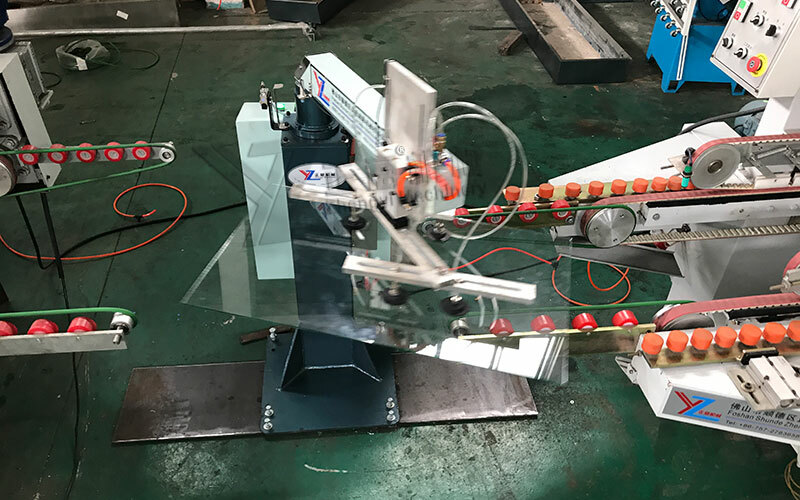 It replaces the cumbersome structure and occupying space of the L type and straight line transfer table, also save power and reduce the cost of the wearing part. 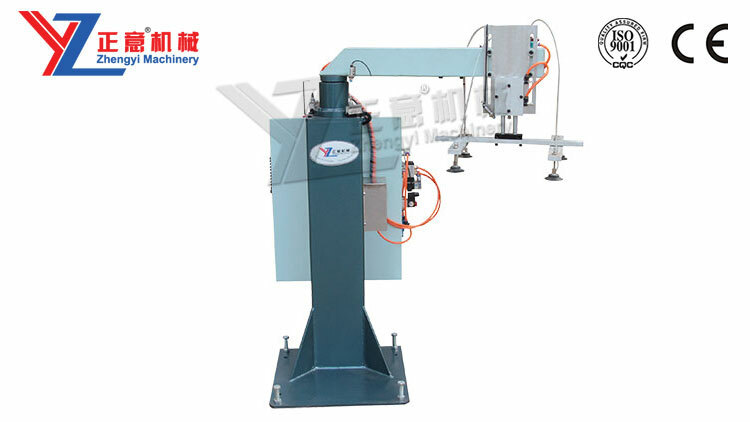 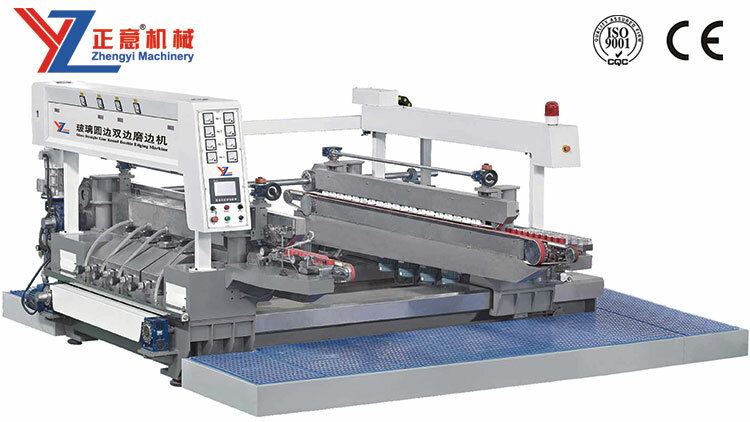 Connecting two sets of simple type double edging machines to simply finish grinding of four edges, replacing expensive four sides glass edging machine. 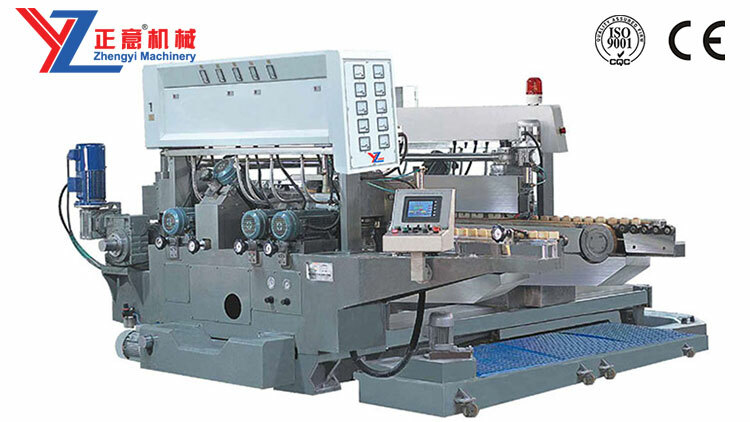 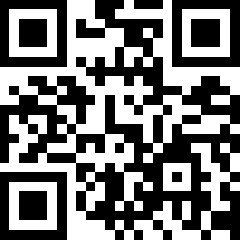 Simple, fast ,practical and greatly reduce the processing cost. 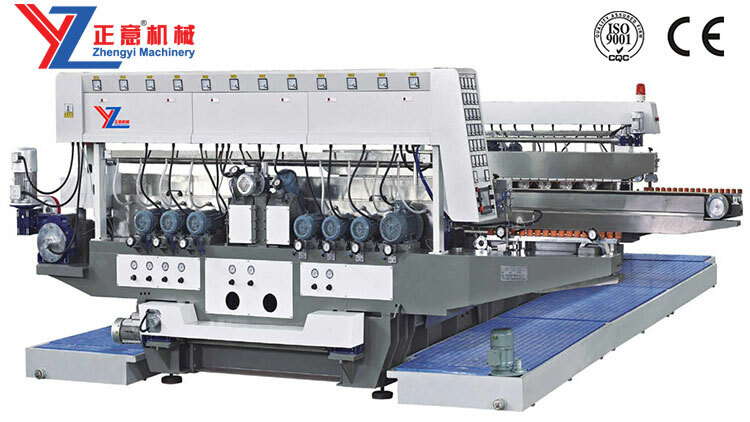 Let the double edging machine production line reach a new stage.